There’s luxury furniture, and then there’s luxury French furniture, made by skilled craftspeople using age-old techniques and inspired by a proud tradition of furniture-making. At www.taillardat.fr , there is an extensive assortment of designs for the living room, dining room and bedroom to delight even the most demanding customers. Desks, pedestal, bedside and console tables, chests of drawers, armchairs, sofas, benches, mirrors and beds illustrate the diversity of Taillardat’s output. Probably the most iconic items of furniture from the 18th and early 19th centuries in France were Louis XV and Louis XVI armchairs. 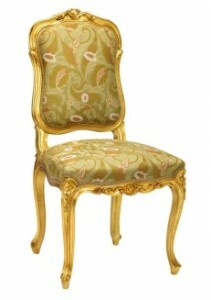 At http://www.taillardat.fr/collection-fauteuils-en.php you can view a fine selection of chairs inspired by these designs. Eye-catching, flamboyant, discreetly elegant or effortlessly sophisticated – whatever your preference in terms of style, you will definitely find it here! From armchairs to chairs: the latter were not left untouched by the aesthetic trends of the period. Rich colours and elaborately carved structures were the order of the day, as can be seen in this Louis XV style chair (below). This model is called the Royaumont Dorée. Previous DBV-Technologies’ use of electrospray technology is giving new hope to allergy sufferers. Next Science has been looking for a way to treat allergies effectively and painlessly, with DBV-Technologies leading the way!